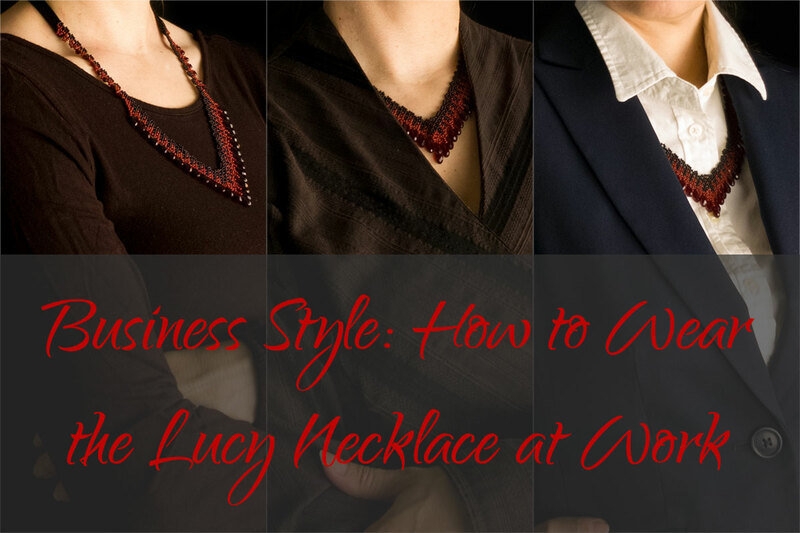 As promised in my previous post, How to Wear the Carmilla Necklace at Work, here’s the next one in the Business Style series, featuring my Lucy Necklace! If you love Lucy, let me show you how you can use it to express your true self while still looking professional. To ensure that we’re on the same page, I’m following the definitions from this article on moneycrashers.com. Your corporation’s particular dress code will likely be somewhat different. Again we’ll start with a Casual work outfit, then go to Business Casual, and end with Business Professional. 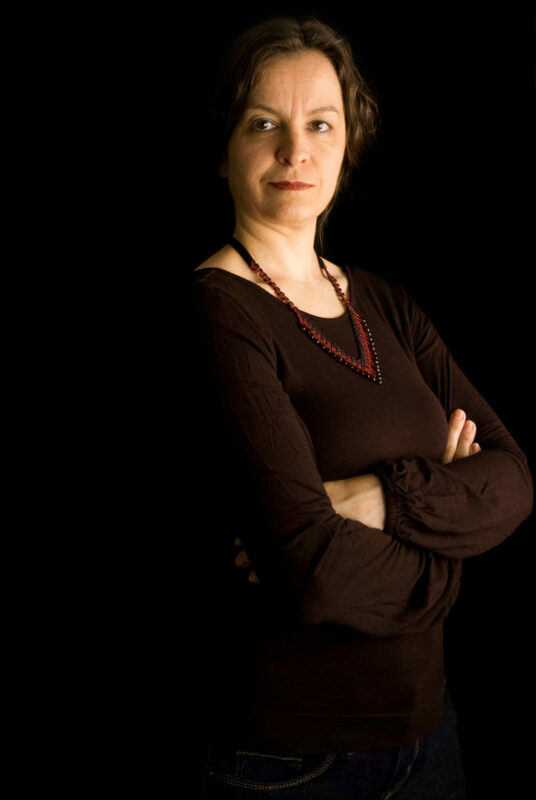 The Lucy Necklace worn with a casual work outfit: a simple fitted chocolate brown long-sleeved top with high round neckline and bishop sleeves, and blue dark-wash jeans. 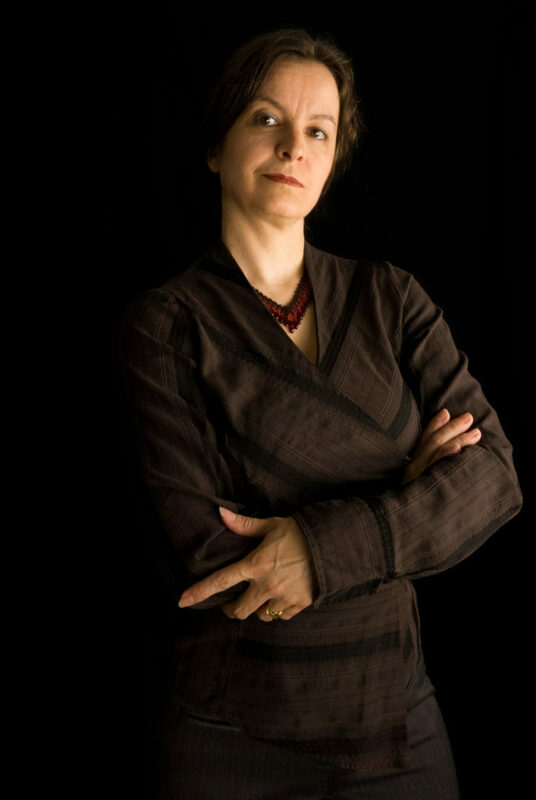 The Lucy Necklace worn with a Business Casual work outfit: A chocolate brown, tone-in-tone striped wrap blouse worn over grey pin-striped slacks from a Business Professional suit. Doesn’t the Lucy Necklace look lovely, peeking out from the narrow V-neckline? 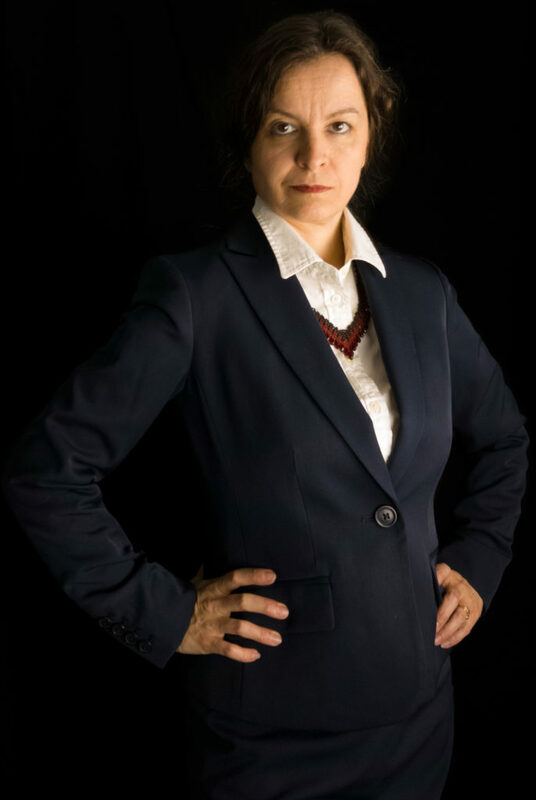 The Lucy Necklace worn with a Business Professional work outfit: A white button-up blouse under a 2-piece skirt suit in navy blue. Again, the Lucy Necklace is partially hidden underneath the narrow neckline of the suit jacket, giving a tantalizing glimpse without overpowering the outfit. 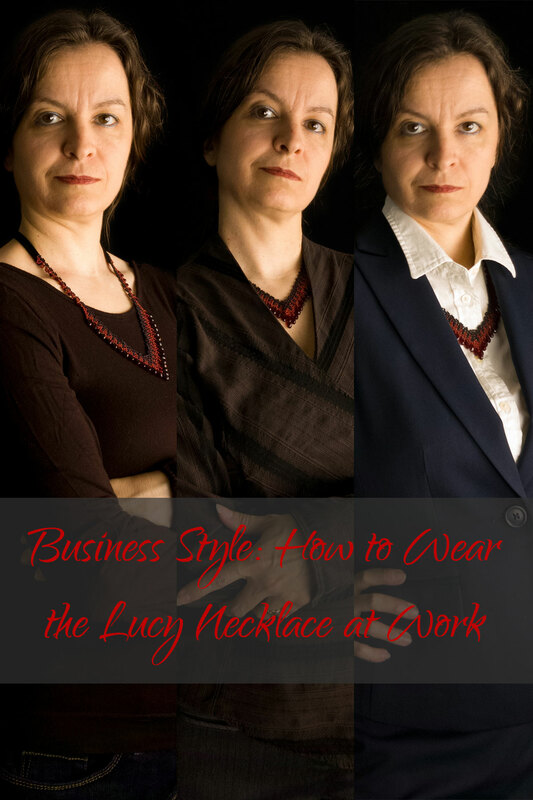 Lucy is a bolder necklace than Carmilla, but it is not difficult to to fit it into Casual, Business Casual, and Business Professional corporate dress codes, unless your company’s rules are very strict. Its adjustable length can be worn with V-necklines or with a boat or high round neckline. These pieces are all part of my Blood-Drenched Lace Collection. Like these Business Style posts? Then come back in about four weeks for the next in the series! 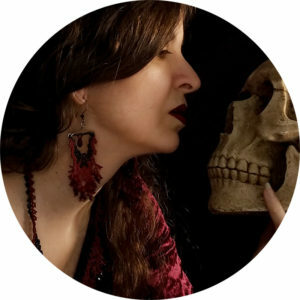 If you’d like to be notified when it goes online, sign up for my mailing list!